A new Clinical and Professional Director has been appointed to provide expert leadership for the area’s health and care organisations, as work to deliver an improved, integrated health and care system for our 1.5 million residents gathers pace. 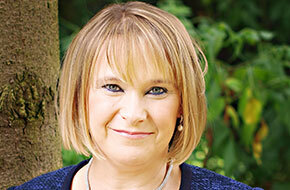 Dr Rachel Joyce is both a GP and a public health consultant by background. With a broad range of experience, from hospital and community-based roles, work as a Director of Public Health in Bedfordshire and 10 years in senior roles in Hertfordshire, she has a wealth of expertise to bring to her new appointment. In her current role as Medical Director for East and North Hertfordshire CCG, Dr Joyce is heavily involved in improving the health and care of patients who are elderly and frail across Hertfordshire and west Essex. Dr Rachel Joyce has particular expertise in clinical effectiveness - ensuring health services are as safe and effective as possible - the redesign of services, wellbeing and preventative health and the early identification of illness. She has both director and board level experience in a number of NHS organisations, has led on clinical programmes and large-scale transformation projects and has significant experience of partnership working. As the STP’s integrated health and care strategy is at a key stage of its development, Dr Joyce will start work in her new role on a part-time basis for two days a week, from Monday 1 April. Over time, this commitment will increase to four days a week at the STP, with one day working for the East and North Hertfordshire Clinical Commissioning Group.